Why They Will Win It All: No team in the field can match the Longballs’ pitching depth. At four pitchers deep, the Ridley Park club is well situated for a tournament that could take as many as nine games to win. This is not shallow depth, either. Sean Bingnear established himself this season as one of the game’s brightest young pitchers, if not prone to a bit of bad luck. Sean is tournament tested and gives the Longballs a true late-tournament ace that should match up well with the Robles, Sarnos, Soups, and Luticks of the world. 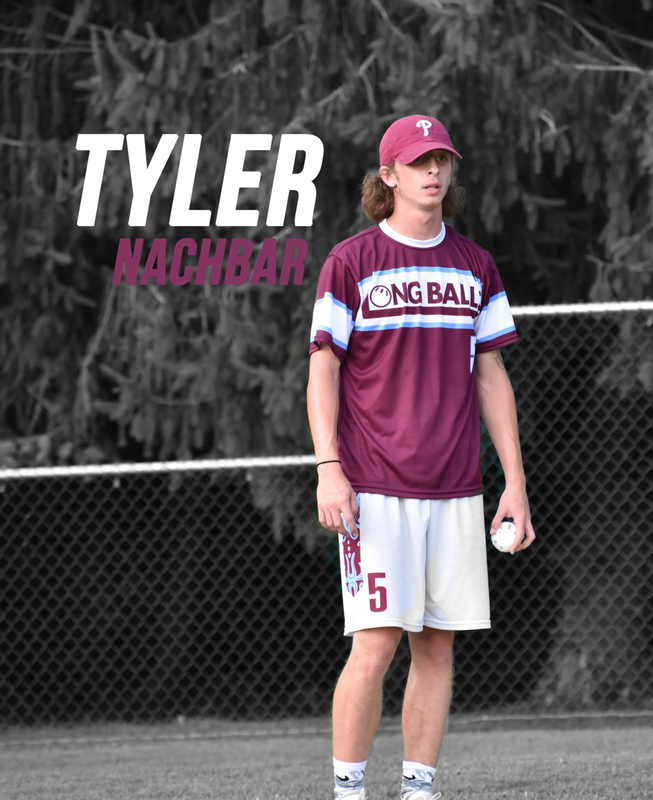 Hard throwing lefty Tyler Nachbar was fabulous at the August 4th tournament and if healthy, forms a potent lefty-righty combo with Bingnear. Pollag has extensive experience on the carpet in RPWL and MAW. If he can harness his command, Pollag will be a weapon in the opening round. And while captain Dylan Harshaw has yet to toe the rubber in MAW, he pitched well for the Ridley Park A’s this year in league action and gives his team yet another pitching option. If Chris Owen, Adam Milsted or Ray Lutick have an off-day on the 8th, their teams will struggle to keep runs off the board. The Longballs, however, can keep passing the baton until they find a pitcher or pitchers who can get the job done. That advantage is a potentially significant one in a Championship environment. The Longballs' offense is nearly as deep as their pitching. Nachbar has power to spare and poses a real threat from the left side of the plate. 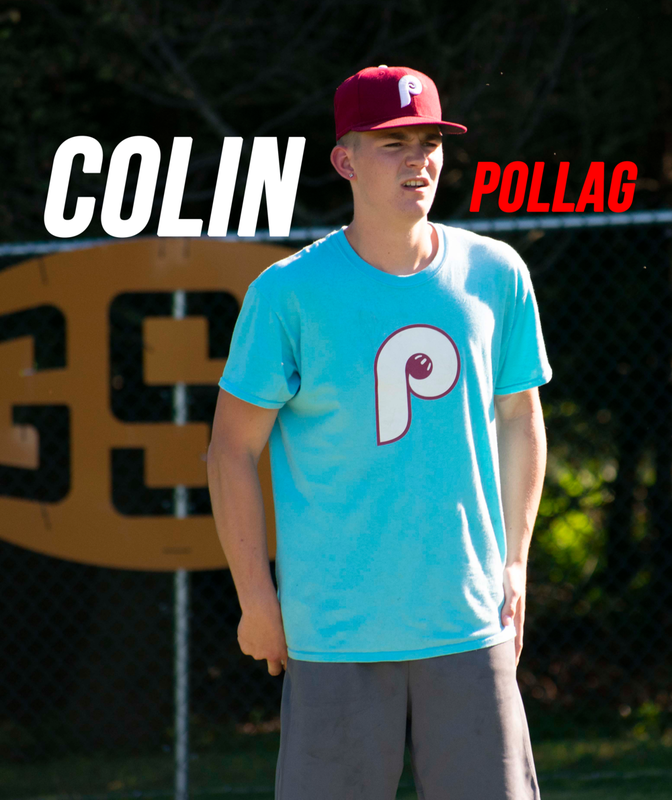 Pollag's .467 OBP in MAW in 2018 ranks 4th among batters with at least 50 plate appearances. Bingnear's .508 OBP ranks 2nd and his .326 batting average is 6th among hitters with a minimum of 50 plate appearances. And while Harshaw might not have the numbers his teammates have, he has had success against several of the MAW playoff teams and was one of the few Ridley Park players to do any damage off Cam Farro in that league's playoffs. 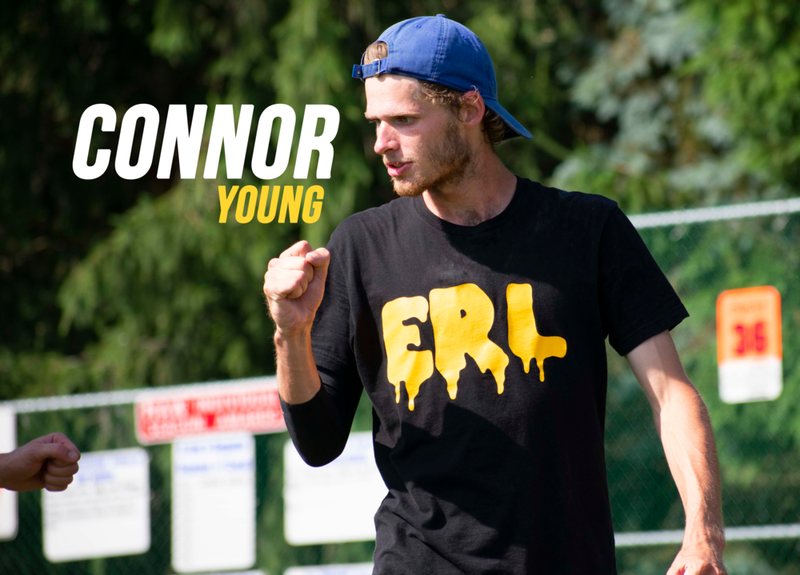 As a team, the Longballs gave Connor Young all he could handle in the finals of the August 4th tournament and clearly will not be intimidated by any pitcher they see on the 8th. Why They Won’t: A side effect of having such pitching depth is that none of the Longballs have had to throw 15 or 20 innings in a single tournament this year. That’s not to say that none of them can but they are unproven in that regard. Even if the team gets quality innings and wins from the likes of Nachbar, Pollag, and Harshaw early on, eventually they will be tempted to turn to Bingnear to either avoid elimination or to attempt to pick up a first-game win in a Best of 3 series. While we know that pitchers like Soup, Sarno, Robles, and Lutick can be let lose in the semi’s and go the rest of the day, Bingnear is unproven in that regard. Historically speaking, tournaments like this are won by teams who can ride a hot pitcher for three, four, or more games down the stretch. At least on paper, the Longballs lack that type of pitcher and for that reason, their depth maybe rendered moot later in the day. 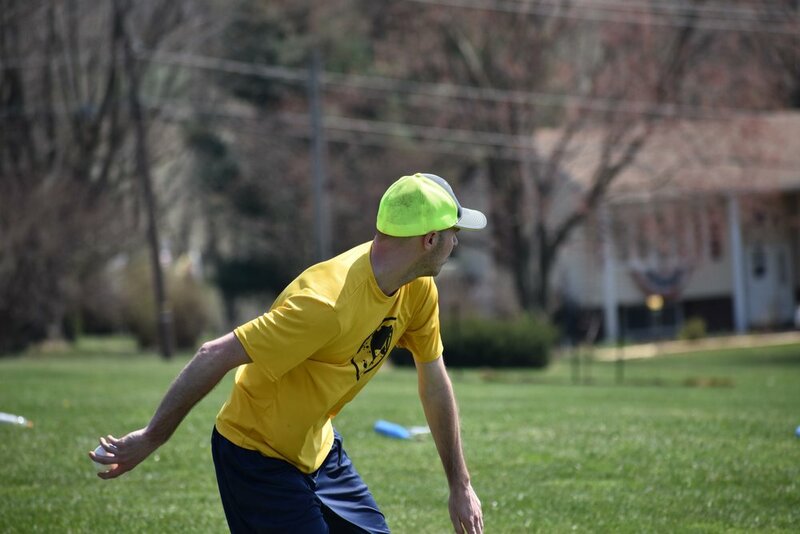 At the midway mark of the 2018 Wiffle Ball calendar, The Drop takes a look at the players that caught our attention over the first half of the season. This is not meant to be an exhaustive list of the best players in the game but rather a collection of players and stories that stood out over the past six months. This article covers players that have played in an unrestricted pitch speed environment in 2018. For an eight-day stretch in April, Cole’s Palisades Cardinals teammate and fellow New Yorker, Kris Morse, was an unstoppable force at the plate. It started on April 22nd at AWAA’s Opening Day tournament when Morse pounded out an insane thirteen homeruns for the tournament champion River Monsters. One week later in Palisades, Morse had a game for the ages. Playing for the Cardinals, Kris went six for eight with three homeruns, three walks and a whopping sixteen RBI in a route of the White Sox. Morse has since cooled off a bit – how could he not? – but the eight days in April when he suddenly became the wiffle equivalent of 2001 Barry Bonds is one of the more fascinating statistical feats so far in 2018. The one-pitch rule in the Washington based JAL league was the subject of some debate earlier this year. What seems undeniable is that making good on one pitch isn’t easy even if you are getting nothing but fastballs straight over the plate (which – to be clear – is not the case in JAL). That is what makes Matthew Morton’s JAL XVII output so impressive. Morton saw 95 pitches during the winter/spring season. He let 30 go by for walks and picked up hits on 23 of them for an impressive .558 on base percentage. Even more impressive was that 13 of his 23 hits (57%) went for extra bases. To make extra base contact on 14% of the pitches you see over the course of a long season is impressive in any fast pitch environment. Due to his relentless offensive output, Morton was named MVP of the JAL XVII season. Another name that might fit that taken-for-granted mold is Tim Trenary of the Palisades Dodgers. Since 2012, Trenary has been one of the best and most consistent players in the Palisades, particularly on the mound where he has averaged 13 strikeouts per games over his eight Palisades’ seasons. This year he is putting up his typical strong pitching numbers with a 0.71 ERA and a tick over 12 strikeouts per game over 27 1/3 innings. While Tim’s offensive output is usually safely above average, he has really taken it to another level this season. In 51 at bats through the end of June, he has slugged nine extra base hits including six homeruns, which is good enough for a .725 slugging percentage. Combined with his solid .410 OBP, Trenary currently has a 1.135 OPS which if he can maintain would be the best of his career. As a first-time player in Palisades WBL last year, Ty Wegerzn ran away with the league’s Rookie of the Year award. This year, his brother Dave is attempting to make it back-to-back ROTY awards for the Wegerzn clan. 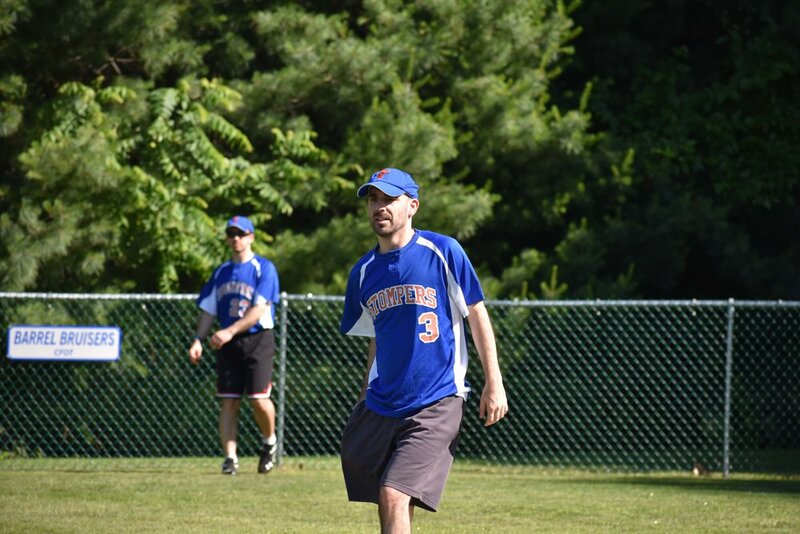 Dave Wegerzn – like Ty was in 2017 when he won Rookie of the Year honors – is by no means a newbie to fast pitch Wiffle Ball and that prior experience has allowed him to hit the ground running. Midway through the year, Dave is dominating the action on both sides of the ball with a 1.213 OPS and 0.67 ERA. If Dave can finish the season the way he has started it, he seems poised be the second Wegerzn in a row to finish as a season as Palisades’ top “rookie” player. Georgia's Village Idiots won an eight team tournament in Tennessee in 2017 but have yet to play in 2018. There’s a good reason for their absence, however. One of the Idiot’s key players – Justin Jones – is currently playing professional baseball in the Los Angeles Angels organization. Jones – a four year starting shortstop at Georgia state – signed with the Angels as an undrafted free agent this summer and is currently assigned to their rookie-level team Arizona. Wiffle Ball is ostensibly a team sport but in its current state, the game belongs to the individual player. While I hope that one-day soon we will again have the full-time teams and system necessary to accurately rank and compare squads, that time is not now. It is a player's sport right now and there is no shortage of talented players to be found throughout the United States and beyond. Based on a player’s performance in unrestricted pitch speed games* between January 1st and October 15th, 2018. The award will take into account a player’s pitching, hitting, and defensive accomplishments between (and including) January 1, 2018 and October 15, 2018. Among other considerations, the level of competition the player competed against, the player’s statistics, the number of games played at a high level, individual and team accolades earned by the player (i.e. championships), and the variety of competition will be taken into account when selecting the finalists and the award winner. A player’s FULL body of work will be considered for the award. One good tournament is not necessarily enough to make up for a lack of play or performance the rest of the award period nor can will one "poor" tournament performance overshadow an otherwise superb season. 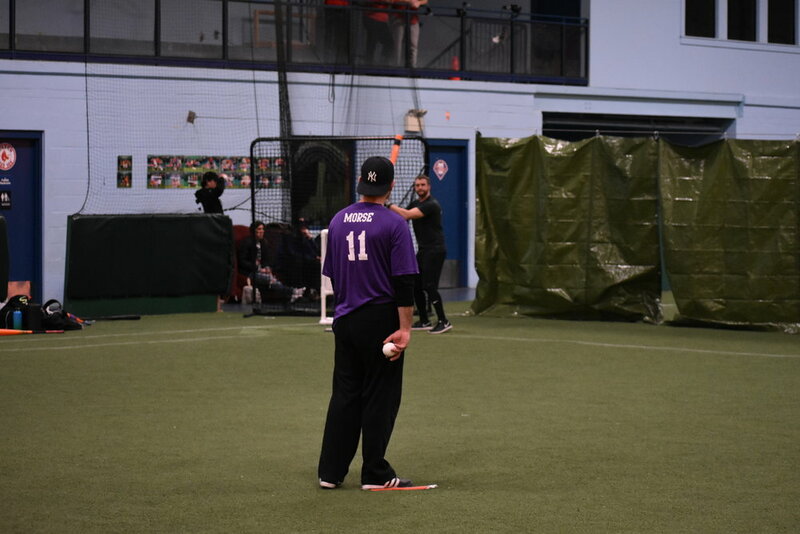 The selection will be made based on the hours upon hours of in-person and digital Wiffle Ball watching undertaken on a regular basis here at The Drop, conversations with players and organizers, and 2018 statistics. * Organizations that meet this criteria include, but are not limited to: Palisades WBL; Mid Atlantic Wiffle; NWLA affiliated leagues that provide an unrestricted speed option (AWAA, Ridley Park Wiffle Ball League, WSEM, etc. ); the NWLA national and qualifying tournaments; the Fast Plastic tournament; JAL; and the Texas Wiffle Ball League. The finalists will be announced on Monday, October 22nd. The award winner will be announced Friday, November 2nd. The award will be presented to the winner at a yet to be determined date and location. So keep on playing and GOOD LUCK!